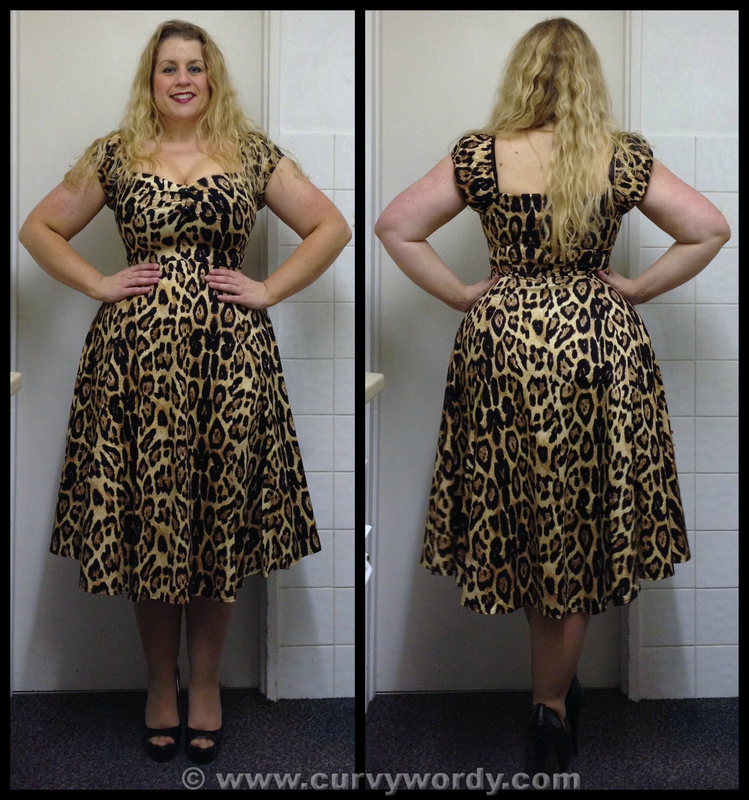 A while ago I managed to get my hands on yet another Collectif Dolores Doll dress – this time in the Feral print! In all honesty, I wasn’t 100% about the print when I first saw it but I was so eager to add to my Dolores Doll collection that I decided to go for it. The dress wasn’t available in my preferred size 12 Medium so I went for the 10 Small instead. As always, I absolutely adore the cut of this dress. The feminine style, with its low cut neckline, puff sleeves, close-fitting waist and huge flared circle skirt, is a winner for my hourglass shape and works so well to accommodate me. The print is much less ‘rawrrr!’ in real life and I think adding some coloured accessories would help to tone it down even further. Something bright would take the edge off the dress and put the print in its place somewhat. The length of the dress’s skirt is great for me – my knees are comfortably covered and in fact the skirt goes down to my mid-calf. I am only 5’4 so this would come up a bit shorter on anyone taller than me but over the knee is the intended length of the Dolores Dolls. Sadly for me, the size 10 Small was just too tight on this occasion. I have managed to get away with this size in some of my other dresses, although there is the compromise of the bust being too tight, but this one seemed to have a tiny bit less stretch than the others and so it felt very snug indeed. You can see from my photos just how tight the dress is on my bust, squeezing it noticeably, and even on my waist and back. I am all for the ‘wench’ look, but this is too much! It works well, as usual, but as this dress is already a tight fit I don’t think it needs the belt. I think it would instead look great with almost any coloured shrug; in particular I think red or turquoise would work beautifully. So, the Dolores Doll Feral Dress is one that I’ll need to sell due to the fit being on the small side – and I’ll be on a mission to get one in a size 12 Medium as soon as possible! 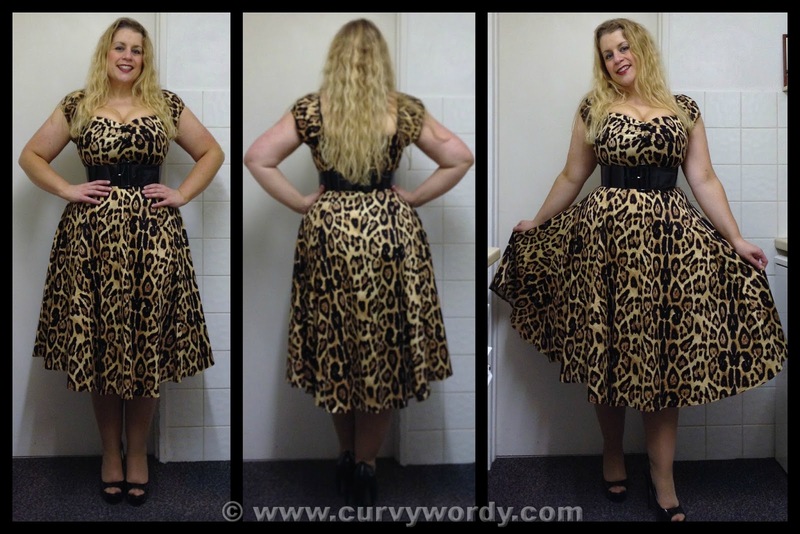 This dress is now out of stock on the Collectif website but I have recently seen them on sale in at least one of their London stores. Additionally, you may be able to find this dress retailing on other websites, such as Miss Mole or Top Vintage. I was once again floored by the fact you're only 5'4! >_<The dress still looks amazing despite it being too small. Definite va-voom you got going there in the bust. I'm sure a Medium would fit you much better and make you feel a lot more comfortable. You look lovely, though! LOVE IT!!! Growl! ;o)In repy to the previous poster, the Dolores Dolls all come in sizes 6-22 so yes it comes in plus sizes, and also petite! We just need to find them now.I wasnt sure about the print when I saw this dress on the Collectif website but having seen it on you I bloody adore it! Im gutted its no longer available on Collectifs site but I will make it my lifes mission to search every nook and cranny to find this in my size. Wish me luck! Where are the petite sizes? I can not seem to find the section on the website. There is not a section on the website, they are just listed on each item like all the other sizes. I have seen quite a few size sixes on there! You look–I have to say it!–utterly, gorgeously FIERCE!I have only commented once or twice before, yet I STILL cannot believe how similarly we are built. I also cannot believe I let the whole summer get away from me without treating myself to a Dolores doll! I do wear almost exclusively dresses, but with a difficult few months health-wise (and thus financially) I couldn't justify the purchase. Even though the mercury is dropping and autumn will soon be here in full force, you had better believe I will be combing clearance and eBay for one! (I honestly would have bought an 18 until seeing a 12 works so well for you. )Thank you, lovely lady! You have opened my eyes and world to Ewa Michalak, Igigi and so much more! It truly feels as though your posts are written expressly for me!xxxxKristin in N.J.
Wow! You look absolutely stunning in this dress!!! The fit is perfect! You look absolutely stunning in this dress!!! The fit is perfect! How much do you want for it? 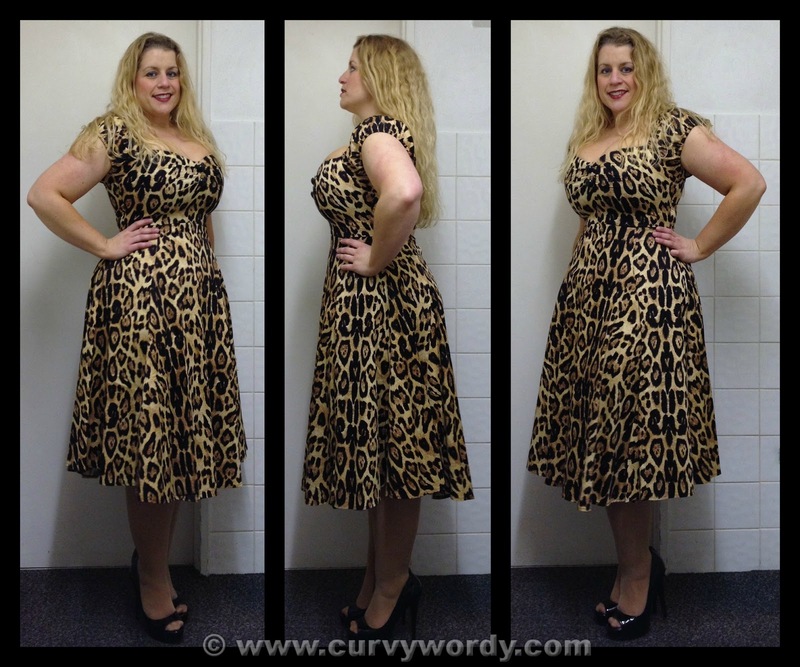 From all the reviews of the Delores dress, it sounds like the size 10 might fit me. Don't think my last comment posted. If you're selling this, how much do you want for it? 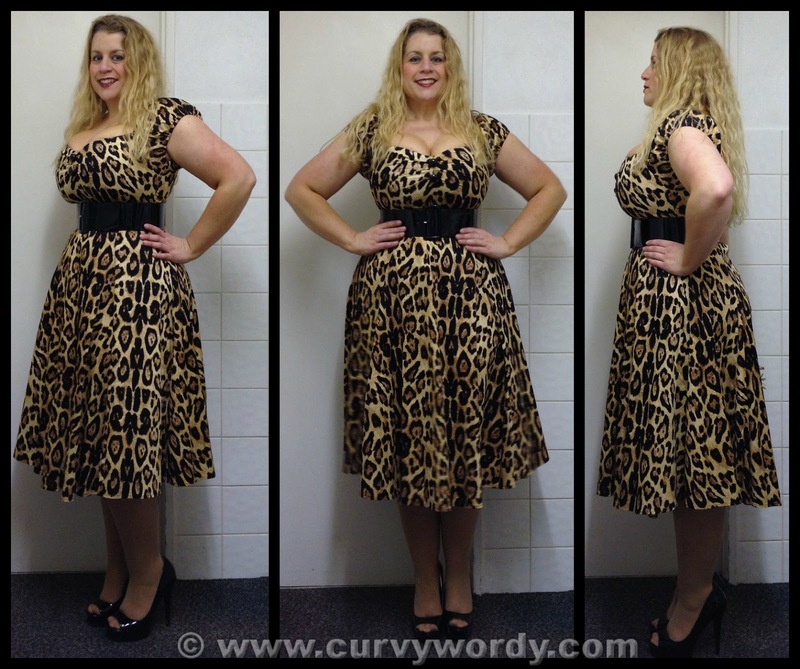 From what I've read of the Delores dress, it sounds like the size 10 might fit me.